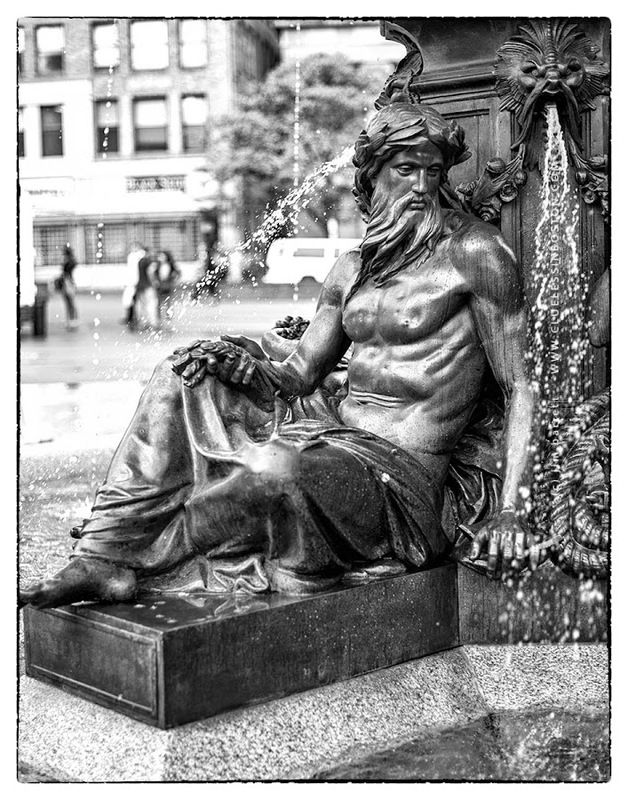 Brewer Fountain. View from other side can be seen in an earlier photo, and another photo on Light Impressions here. Thank you so much for posting these beautiful photos. I'm from Boston but currently live away from the area and your photographs have been helping to ease the homesickness! Besides that, I love photography, so from a purely artistic point of view I love your site as well. Fabulous pictures ! and fabulous statue! i'm always suprised by the beauty and perfection artists were able to give to their creations in past times .. Brilliant in black and white.